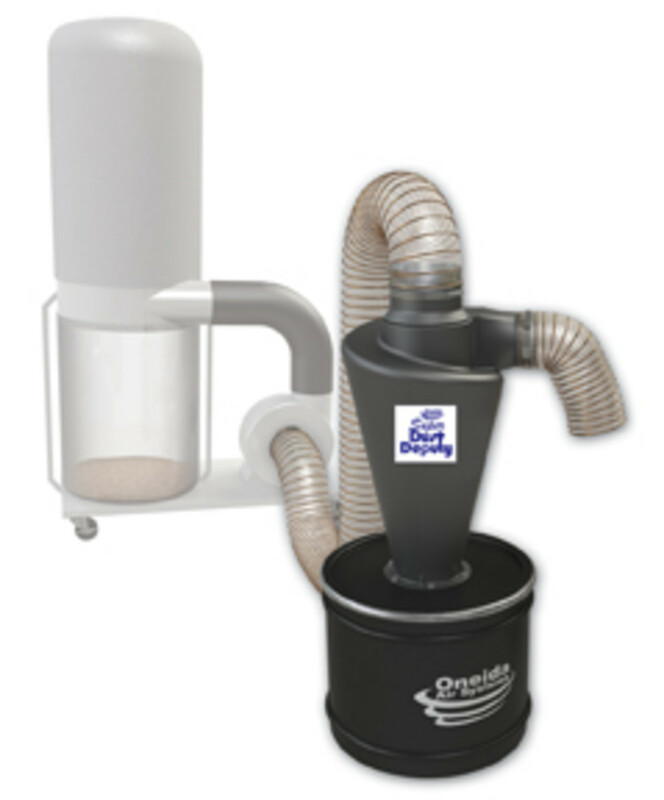 No, this isn’t another how-to article on designing and assembling a dust collection system. The companies that install systems or sell bags or ductwork can help there. This is something a little more fundamental — a quick look at some changing reasons for talking to those system designers. In fact, dust control could soon be as important to woodshops as malpractice insurance is to doctors. 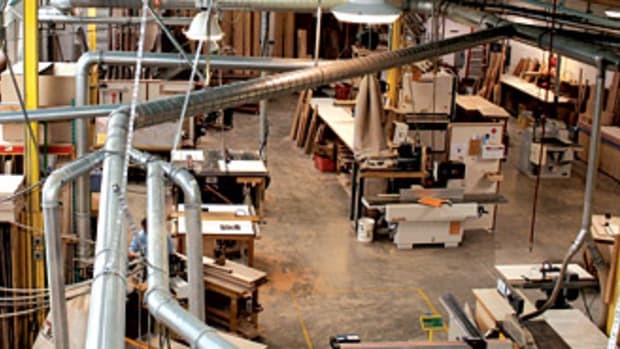 There are two reasons to control dust in the woodshop: people and products. 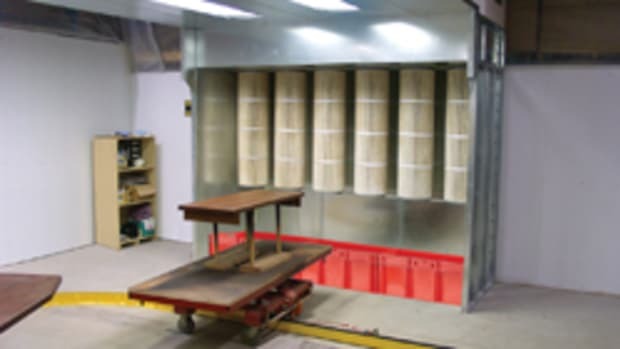 The products part comes into play around spray booths, where dust can contaminate a finish. That’s annoying and it’s certainly important to the bottom line, but it’s hardly a matter of life and death. The people part is a matter of life and death. And beyond shortening lifespans, dust can also destroy the quality of a woodworker’s remaining years. It doesn’t have to. A conscientious effort to curtail the impact of fine particles can be extremely effective. A shop owner can do a great deal to protect his/her people and, in doing so, can also be protecting the shop from lawsuits. On Dec. 18, 2010, the State of California added wood dust to the list of products that it says are known to cause cancer. It’s now a crime in that state to “knowingly and intentionally expose an individual to wood dust” without sufficient warning. By adding wood dust to its Proposition 65 list, California has created an environment for lawsuits in other states: a plaintiff could, for example, cite California as an expert witness that has done due diligence in its research. Also in 2010, a woodworker named James Lemley brought a suit in Alabama against a woodshop that installs kitchens and bathroom cabinetry. After working for the shop for 17 years, he contracted sinonasal cancer. He also sued the companies that made the sanders and the respiratory equipment being used and several of them settled out of court. Lemley’s case is only one of many in the last few years that take companies to task for not sufficiently warning and protecting workers from the dangers of dust. Not all of these suits are successful: in a case against Thomasville Furniture Co. in 2009, the finding was that there was insufficient evidence to award in favor of a plaintiff. What is notable here is that the court didn’t deny a link between wood dust and the plaintiff’s death (from, in this case, multi-organ failure): it just said that the link hadn’t been established in this specific case. 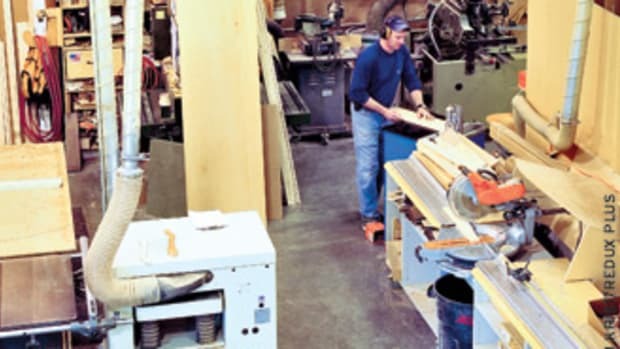 One of the most common grounds for suits against woodshops and woodworking equipment manufacturers is the occurrence of sinonasal adenocarcinoma. 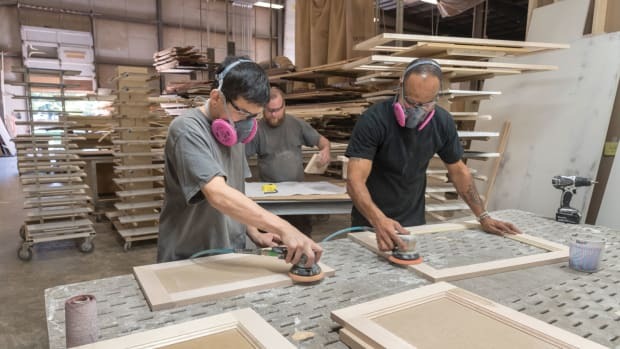 This is a very rare form of nose cancer that is far more common among furniture and cabinet shop workers than it is in the general population. 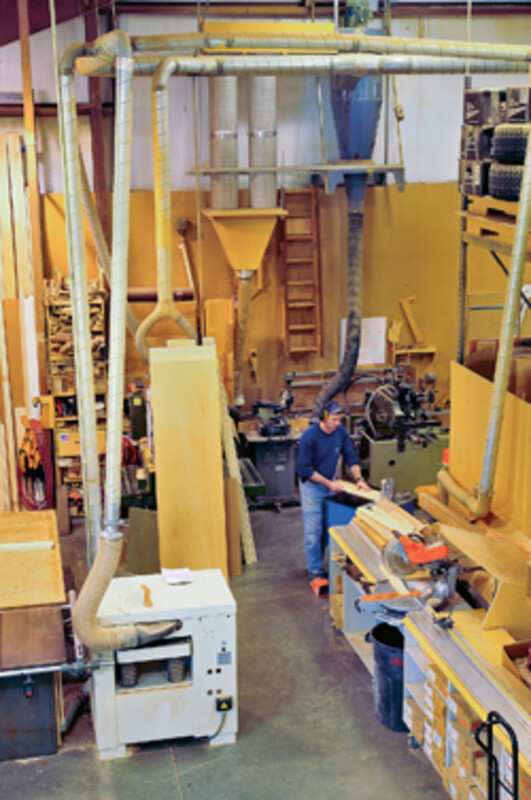 Some estimates are that woodworkers have a 500-times-greater chance of contracting it than non-woodworkers. From there, it’s a logical step to say that wood dust causes it and courts are beginning to agree. There are several grades of the disease: some are aggressively malignant, while others are slow-growing and treatable. 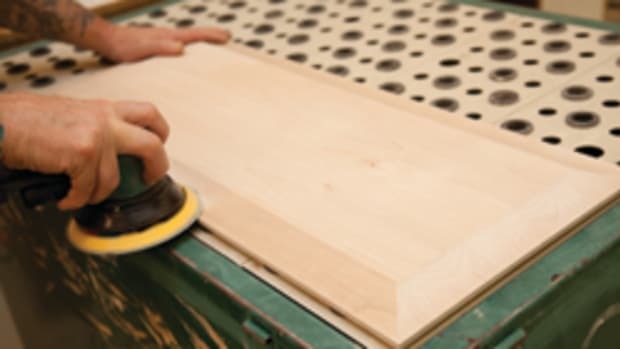 Not all wood dust ailments are carcinogenic. In 2009, a case was filed in Indiana by a group of residents of a neighborhood that was downwind of a wood-chipping facility. The plaintiffs claimed that the wood dust caused many of them to seek medical help for asthma, nosebleeds and breathing difficulties. So wood dust can cause allergies, breathing problems, nasal cancer, explosions and lawsuits, just to name a few of the consequences. Woodshops have a problem here: it’s impossible to work with wood without creating dust. How does a shop owner or manager know what’s legal, responsible, in the best interests of employees and even possible? The best place to begin looking for answers is the latest set of Occupational Safety & Health Administration regulation and guidelines. OSHA is a branch of the U.S. Department of Labor. Because of that, courts will generally accept its interpretations of laws, rules and practices as a standard to be met by employers. 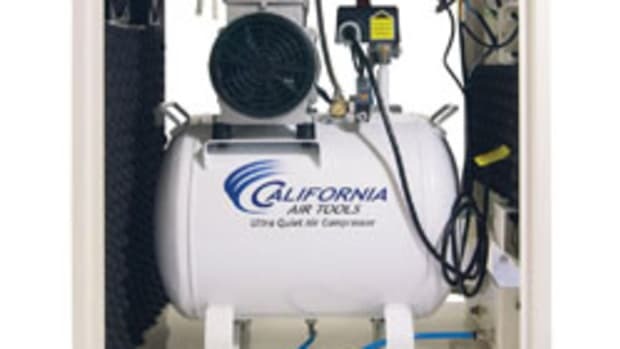 If the federal government says there is an association and California says that wood dust is known to cause cancer, then woodshops need to figure out what the government requires of them in terms of protecting their workers. The first thing a shop should do is start monitoring the air in the building and measuring the amount of airborne dust. 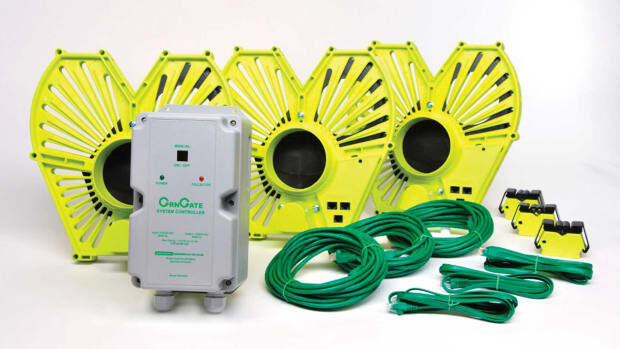 There are lots of air quality monitors on the market, but not all of them measure dust. Many are designed to detect only harmful gases. 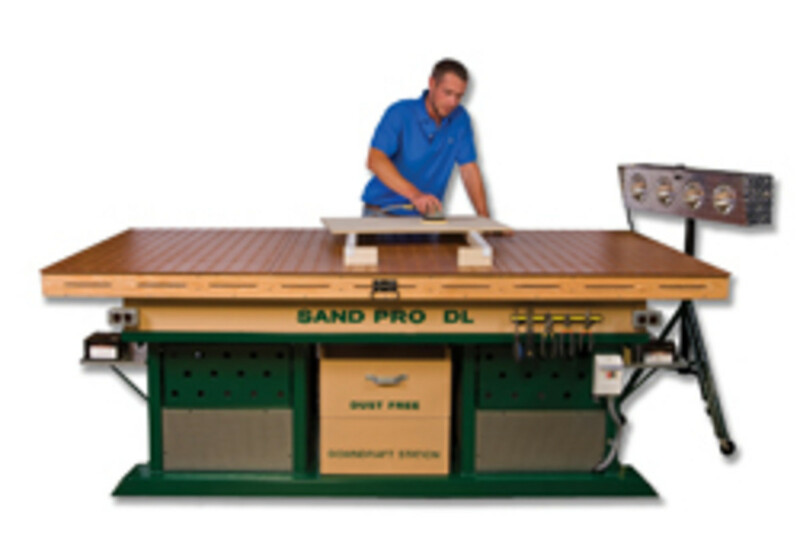 Dylos Corp. in Riverside, Calif., suggests the DC1100-PRO monitor for woodworkers. This unit is a true laser particle counter with two size ranges, so it’s calibrated to detect particulates down to 0.5 micron (small particles) and up to 2.5 microns (large particles). Results show up on an LCD screen. A shop can measure by the minute, hour or day, and evaluate air quality with up to 30 days of history. The unit sells for $260.99 on the company’s website (www.dylosproducts.com), but most professional units cost about ten times that. Minnesota-based TSI Inc. (www.tsi.com/dust-monitors) offers a comprehensive line of high-end monitors for larger shops. Its DustTrak DRX unit simultaneously measures both mass and size fraction, which is something no other dust monitor can do. Hiring an environmental engineering company to do a limited air quality study can be an affordable option. They simply place one or more of their machines in the shop and start recording data. A woodshop manager needs to be very specific about the fact that the only test required is for dust particles. Otherwise, the company might bill for all kinds of other tests including mold, asbestos, carbon monoxide and so on. Testing is going to yield different results in different parts of the building. And those results are going to suggest changes in the way a woodshop goes about its business. 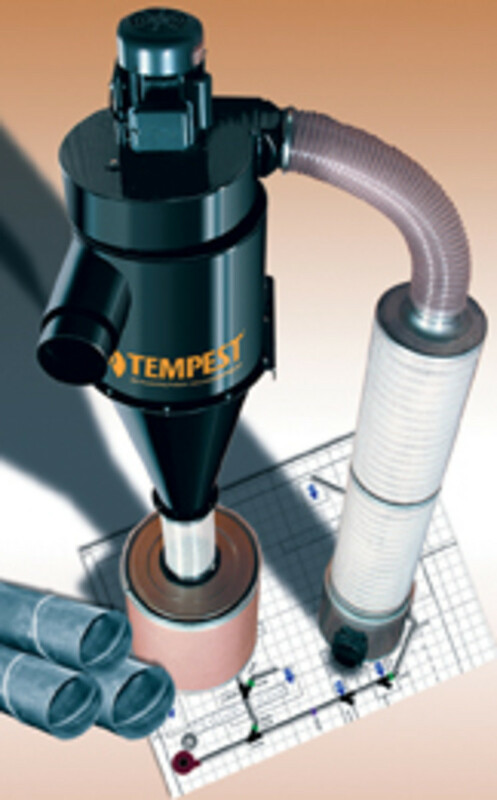 Those can include upgrading all abrasive tools to models that have superior dust collection built in (such as Festool), or working with a supplier such as American Fabric Filter Co. to redesign collector bags by changing both their size and their filtration (micron) rating. It could also be time to look at changing materials, investing in new processes (perhaps introducing a sealed CNC station) and writing up a new shop policy on what masks to wear and when. 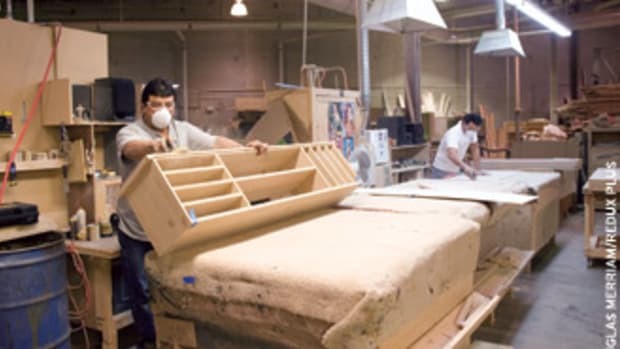 If a woodshop has a demonstrable history of caring for its workers, that can serve well if dust control, or the lack of it, ever lands the owner in court.